Posted on July 9, 2013 in Charities. The BisMan Bombshellz donated $200 to Theo Art School from the proceeds of their June 1, 2013 bout. 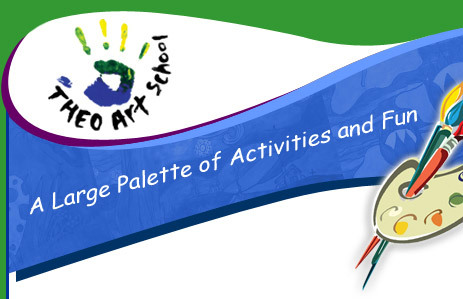 Theo Art School [THEO, Inc.] was founded in 1992 as a private, 501(c)(3) art school to offer Art Classes from professional instructors for students from the ages of 3 years old to adult. Theo Art School encourages students to pursue their dreams of art and offers financial help to those in need. They believe every child should have the advantage of a quality fine art education. They keep their tuition as low as possible and offer full scholarships. There are no additional charges to tuition, and all art supplies are included. Whether you’re interested in Art Classes for Kids, Art Classes for Adults, Summer Art Camps, Art Workshops, or just looking for a new hobby, Theo is the place for you. They are open all-year around. The studios are located at Frances Leach High Prairie Arts and Science Complex. No other fine arts organization offers year-round arts classes. No other fine arts organization offers free classes and full scholarships. THEO Art School is part of the Community, and they are very humble to be able to Share the Love of Art.